Raise and support the vehicle. Refer to Lifting and Jacking the Vehicle. If removing the rear spring to service other suspension components, note the position of the rear spring in relationship to the insulators. Support the rear axle with a hydraulic jack. Remove the lower rear shock absorber bolt. Refer to Shock Absorber Replacement. Ensure that the rear spring insulator is properly seated in the rear frame rail. 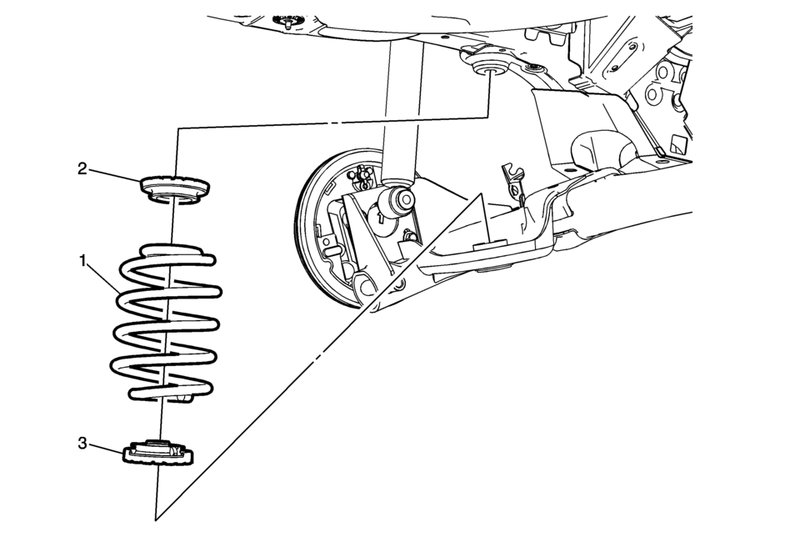 Ensure that the rear spring insulator is properly seated in the rear axle.